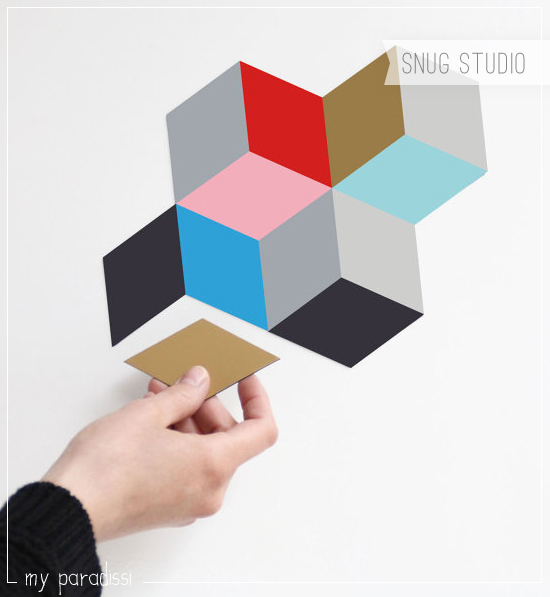 I first met Snug Studio through their clever geometrical vase (which is no more than a cardboard that you can wrap around any small glass and transform it into a vase pronto) and I was as equally thrilled to get to know their other creations as well. I love the colored rhombus magnets and the super cute button board among the others. Which is your favorite? 2 comments on "Snug studio"
Oooh checking their stuff out now! 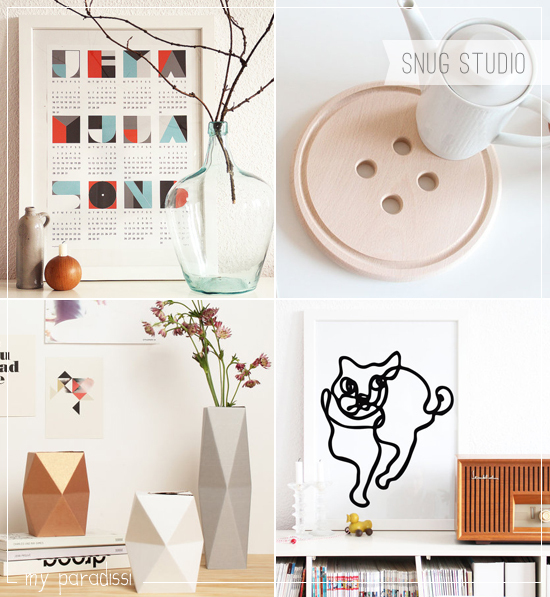 Snug Studio has the cutest stuff - I want that button board!